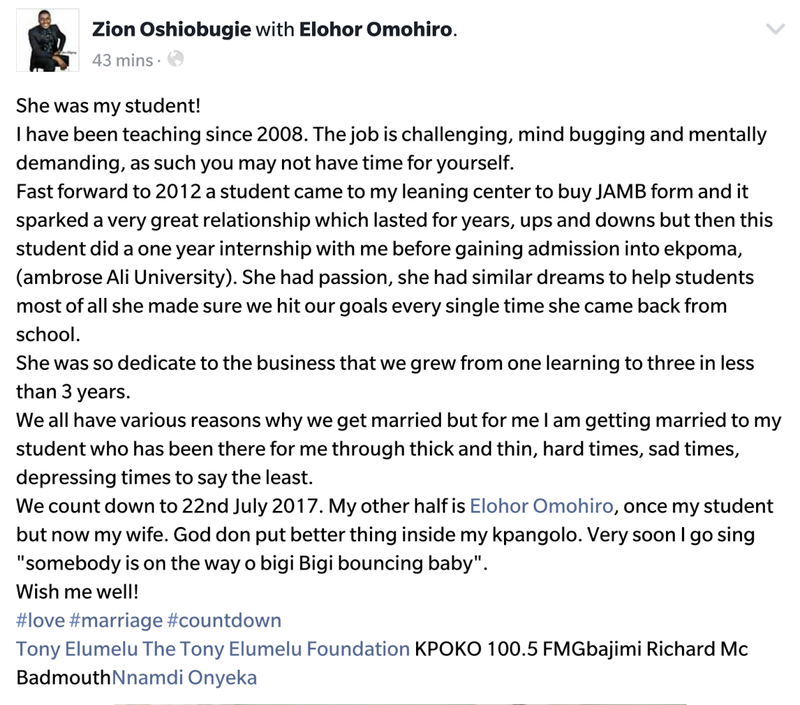 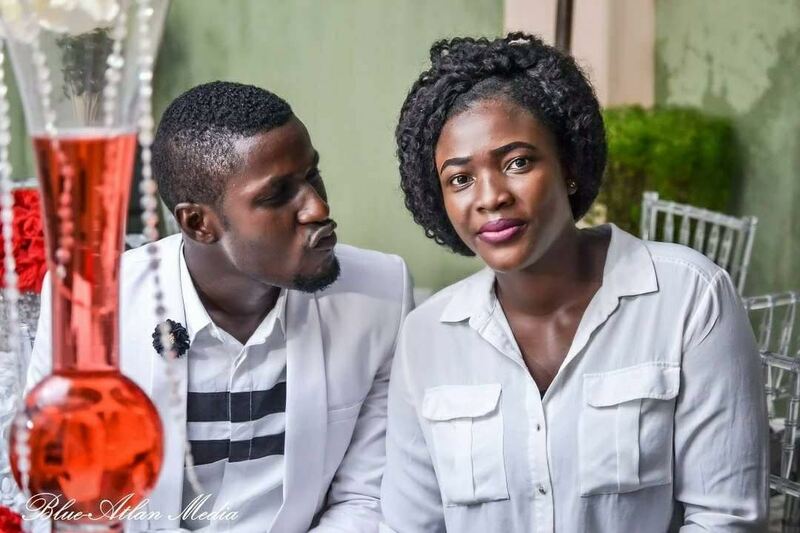 A Teacher and OAP‎ in Delta state, Zion Oshiobogu, is set to wed one of his former students whom he met when she came to his JAMB lesson in 2012. Zion shared their love story online Sunday evening. Read what he wrote after the cut..